Medium-term trading system that tries to profit during the price rollbacks after significant movements. 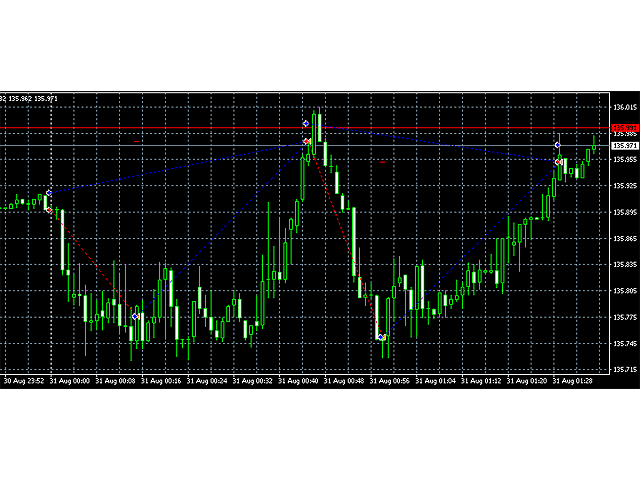 The EA is effective on the EURJPY pair. It was backtested using real ticks with 99.9% quality. 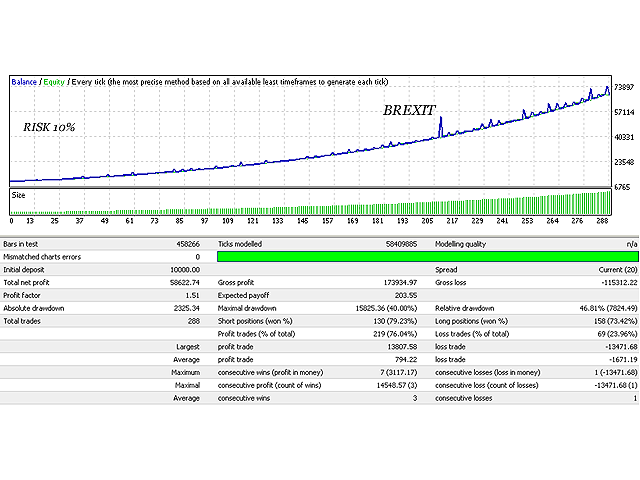 The Expert Advisor has successfully passed testing with conditions approximated to the real market conditions, and it has a minimum of parameters for optimization, which eliminates the possibility of curve fitting. Lot - Lot per amount of deposit. DAY aver - The number of days for the calculation of the trading range. Close Is Friday - Close on Friday. Closing time on Friday - Time to close on Friday. Monday - Enable\Disable trading on Monday. Tuesday - Enable\Disable trading on Tuesday. Wednesday - Enable\Disable trading on Wednesday. Thursday - Enable\Disable trading on Thursday. Friday - Enable\Disable trading on Friday. Contact the author if you need instructions to the EA or if you have questions regarding the operation of the EA. 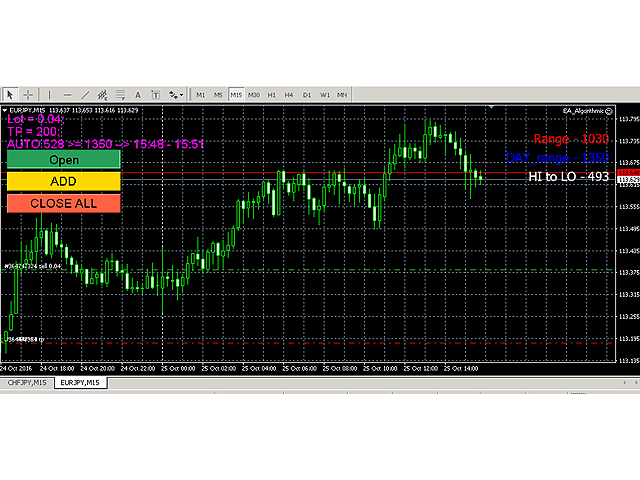 https://www.mql5.com/en/signals/206023 Currency Pair: EURJPY M15 and CHFJPY M15. Trading on the account is performed in manual and automatic mode, depending on the market situation. The account is used for debugging and testing this system under real market conditions. 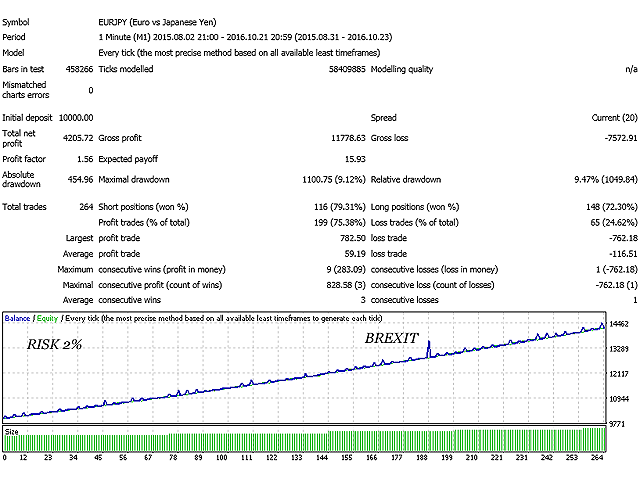 The system has not been optimized in the strategy tester, all values for settings have been obtained by studying the price action history of these currency pairs over a period of 3 years and were used for trading on this account. All data are processed manually due to peculiarities of the currency pairs. Changed the algorithm for calculating the lots increase per unit of the deposit. 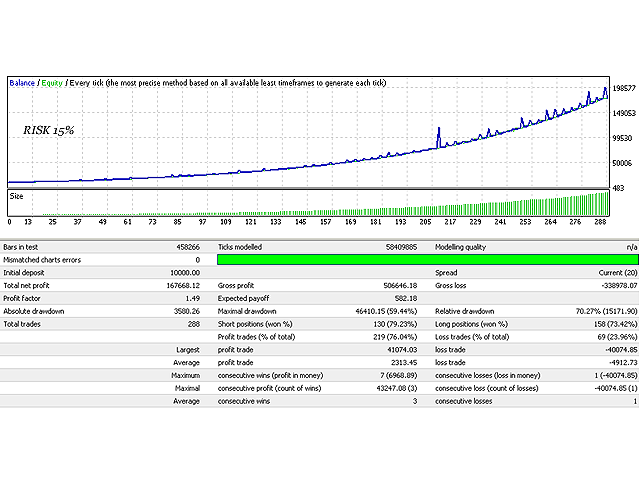 Improved the algorithm of calculation and filtering for determining the trading ranges. Added settings for trading by days of the week. Added the ability to close trades on Friday. DAY aver - The number of days to calculate the trading range. By default, the EA is configured for working with the EURUSD, but it works best with the EURJPY, EURCHF, CHFJPY pairs.